This entry was posted on October 17, 2012 at 9:53 am and is filed under Grateful Praise, Living Simply, Nature. You can follow any responses to this entry through the RSS 2.0 feed. You can leave a response, or trackback from your own site. Oh Beth, this has made my day! And given that my day began at 5:30 a.m. with a colonoscopy, that’s saying a LOT!!! LOL! I’ll take your days of Grateful Praise whenever you post them. They always seems to provide a moment of inspiration and devotion for me. I remember well my mother hollering at my sister and I to stay out of the “chigger-weed” and I always thought it was so pretty! Beautiful shots and lovely poem to go with them. We used to call QA lace chigger weed, too. I think it is lovely and enjoy looking at it. Plus you can eat the roots, which I did not know until recently! I was wondering if you would email me – afirebaugh@gmail.com – just so I would have your email. There have been times I’ve wanted to drop you a note but don’t have your contact info. Glad you have decided to do this. I love your grateful praise. I think it looks beautiful and I love the poem. I am that night owl….I don’t do mornings. Have a blessed day. I’m a night owl, but I do morning when necessary. Now that I’m retired, I can enjoy the peace and quiet of night time, when the neighbors are asleep and everything is peaceful. 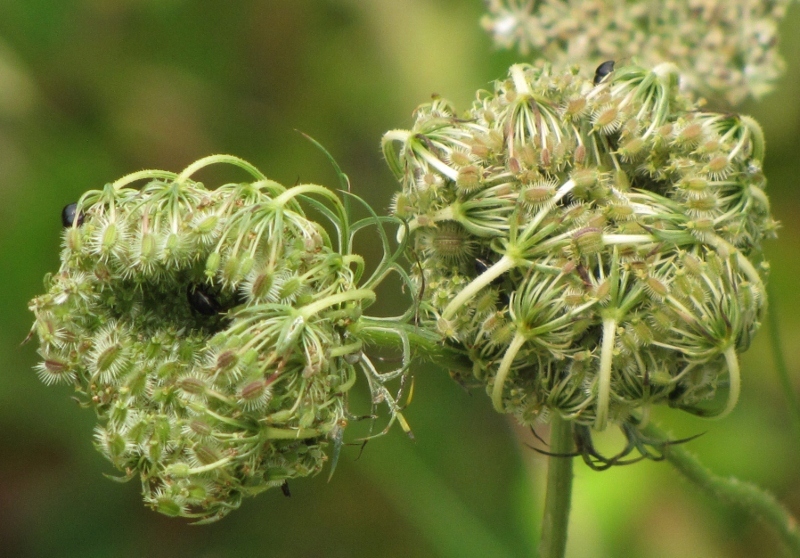 I know Queen Anne’s Lace when it’s in full bloom, but I didn’t know this is what they look like before opening up. They are beautiful at this stage. In the next-to-last photo, they seem to be using their multiple hands to cover their faces, like they’re shy or something. Well, I used to be a night owl, but now I’m a morning person. Like you, I’m up at the crack of dawn. Actually, I’m up while it’s still dark outside; even the birds aren’t up yet. I love that quiet time when everyone is still asleep and the world is quiet. These are beautiful photos and the poem is lovely. I am so happy you are writing up some ‘Grateful Praise’ posts. I truly enjoy them. Funny, but as a kid that’s all I remember about them. My mama said, “Stay away from those, they’re full of chiggers!” :c) And the negative connotation has remained to this day. But, they are pretty and dainty I must confess. Glad to see you back here and sharing your gratefulness my friend. 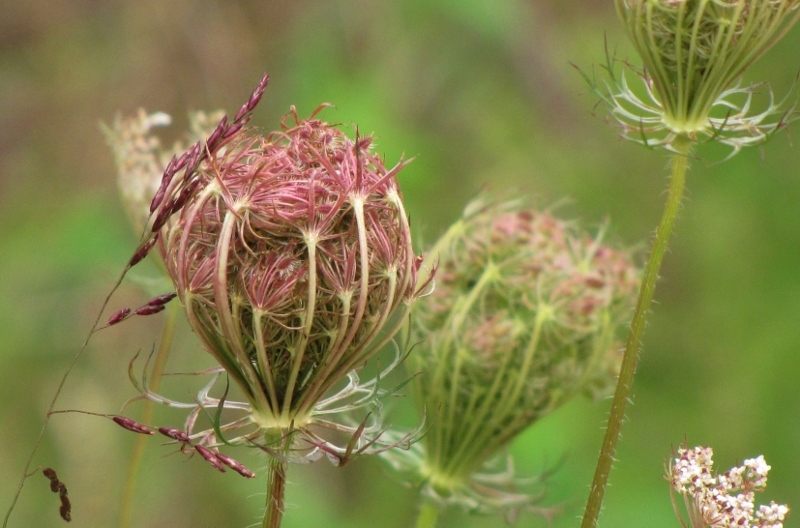 Leave the clover and the Queen Anne’s Lace…and the blazing star too, if you have it! Very grateful for all the flowers, thank you for this post. 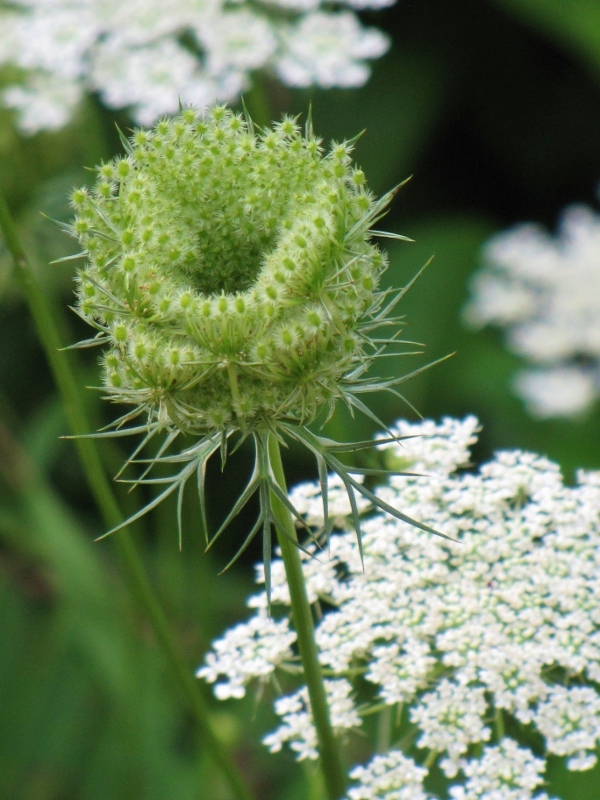 There is more information at this website about Queen Anne’s Lace than you ever wanted to know. Very interesting. Love it, Beth, and I am so glad that you are doing this again… We truly ALL have so much to be thankful for —and we need to express that often…. Love that poem… I’m a night owl –and hate to get up really early in the mornings… SO–that poem is also about me!!!!! 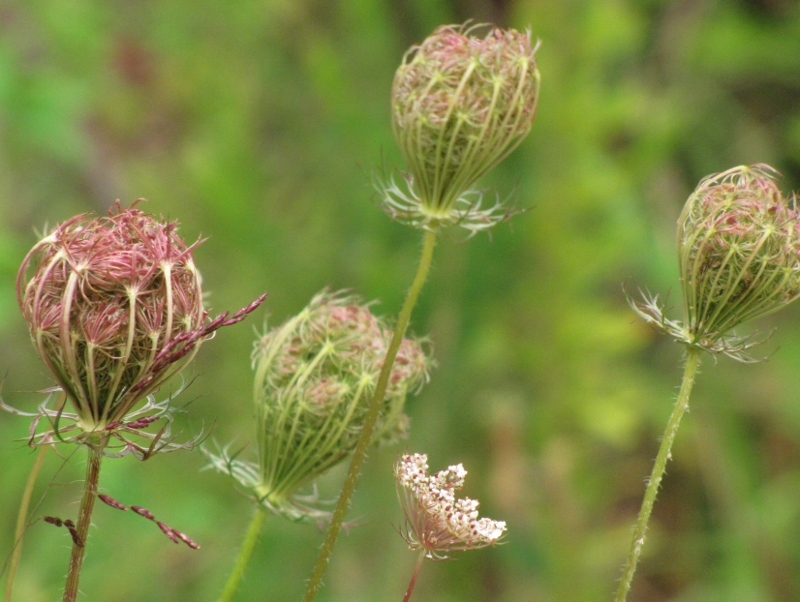 Queen Anne’s Lace is so pretty –in all stages of its life. You got some fabulous photos of it. Thanks for sharing. 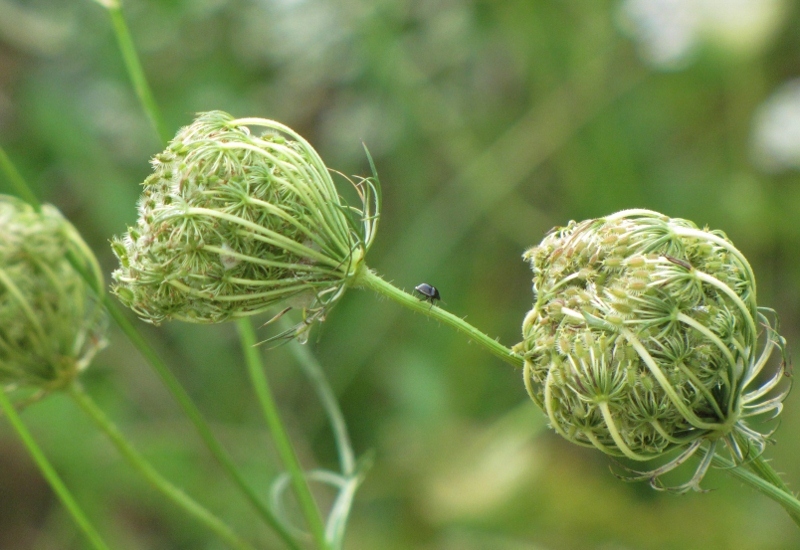 I’ve never liked Queen Anne’s lace because my neighbor as a kid told me the chigger lie, but you’re photos make it look much more pretty and interesting. I love the poem too! wow, the photos look stunning. I am glad you made think about all the things I have to be thankful for. I often wonder why we don’t appreciate some “weeds.” We’re so picky! 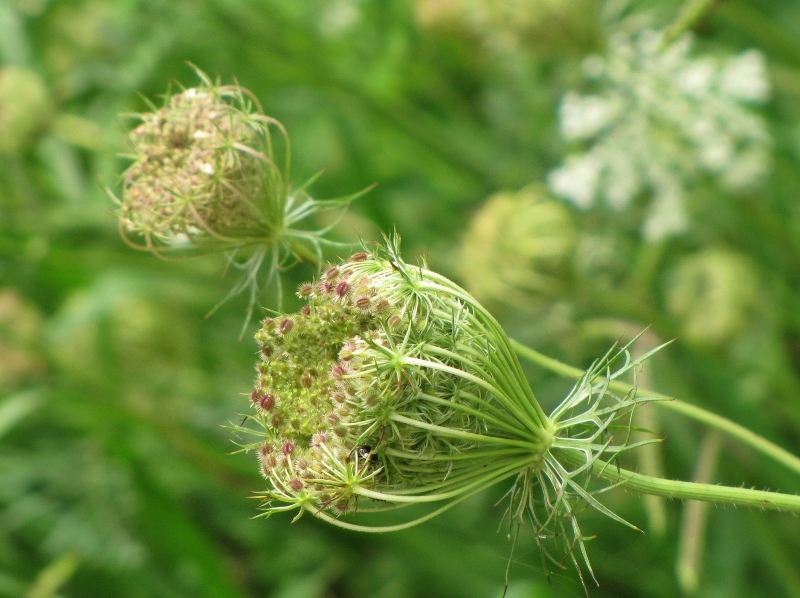 I was recently admiring my Queen Anne’s Lace. It reminds me of snowflakes. It is a very hardy flower. The flowers captured here even have some red in them, something I’ve never noticed before.